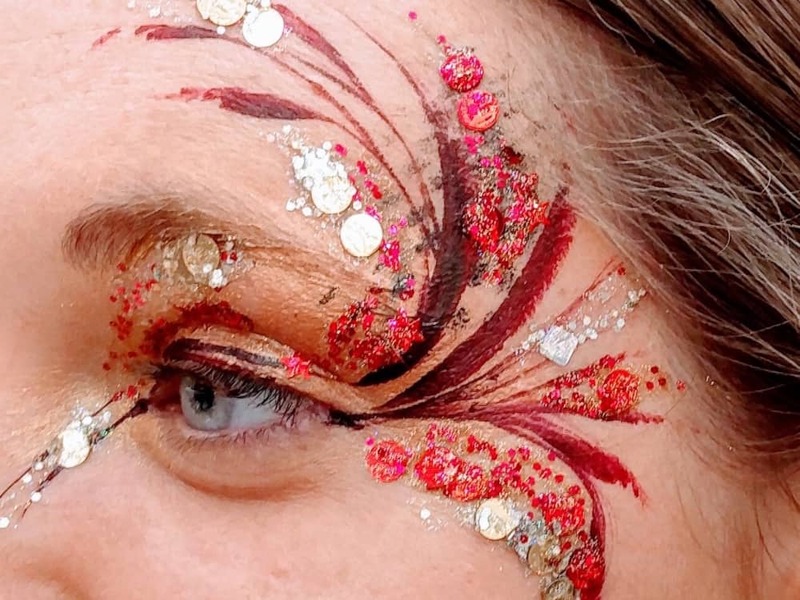 Muddy says: An explosion of glitter and greasepaint, Sunny Faces’ stunning face and body art is fab for parties, festivals, weddings and corporate events. 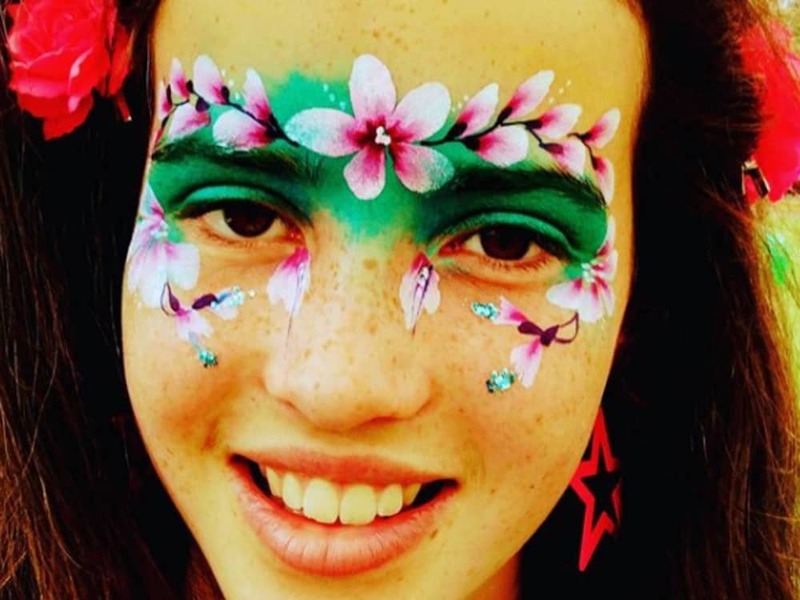 Why should your kids have all the fun when it comes to face painting. 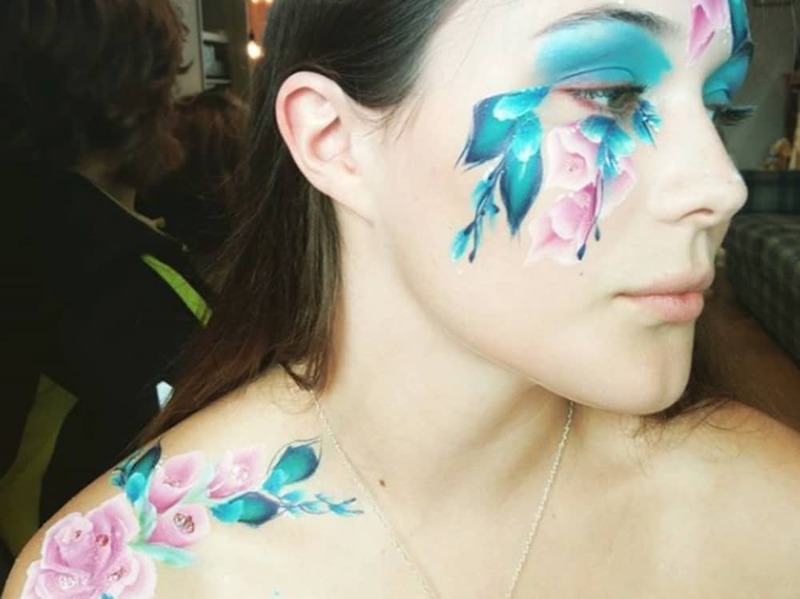 Forget Spider-Man and pretty butterflies for a minute, let’s focus on the fabulous grown up face and body art created by Sunny Montague of Sunny Faces. 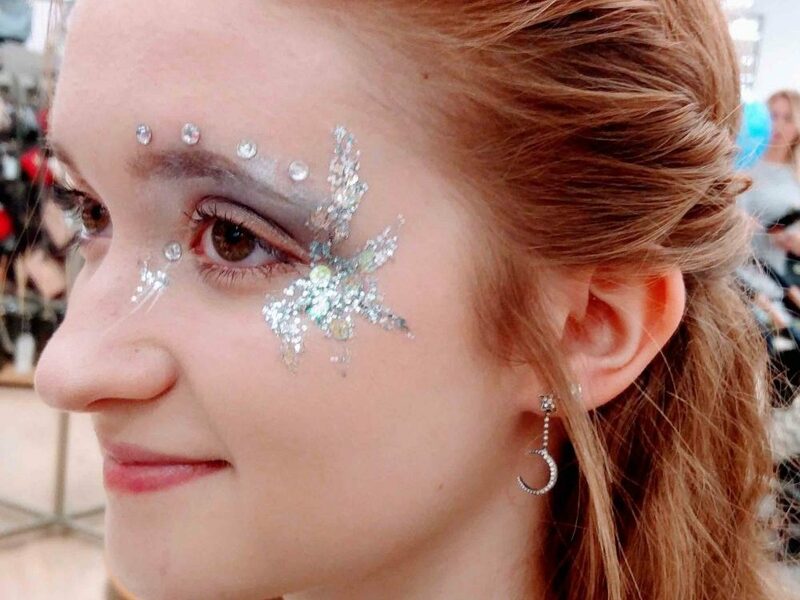 An explosion of glitter and greasepaint, her creations are perfect for birthdays, hen dos, festivals, weddings, fancy dress, corporate events and more. As someone who has enough trouble perfecting an eyeliner flick, letting a professional wave their creative wand for a special occasion sounds like fun. Sunny and her team create delicate, enchanting designs for all ages (yes OK the kids can get in on the act too) that reflect individual personalities and themes. And they don’t just do faces .If there’s skin it can be painted – arms, legs, shoulders, backs and even baby bumps have become a canvas. Working across Berkshire and the Home Counties, sack the magician and paint the town, face and body any colour you want and cover it in glitter. Prices start at £65 per hour.